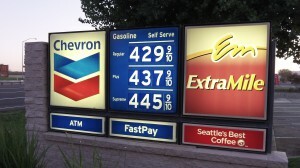 Last summer’s gas prices in California, whose fuel standard Oregon is trying to imitate. While Oregonians cope with high fuel and heat bills this winter, Democrats in the legislature are working to make sure prices stay high and rise even more. They are working on legislation to cause consumers to pay more for gasoline and diesel, and for electricity too. You’d think voters would put a stop to that, but so far they have not. On Feb. 12, the Senate Environment and Natural Resources Committee will hear SB 1570. The measure was introduced by Sen. Lee Beyer, D-Springfield, whose district reaches into Linn County up to the southern outskirts of Lebanon. The bill would continue Oregon’s low-carbon fuel program, which was ordered by the 2009 legislature but never carried out because it was too complicated and potentially costly. The 2009 bill included a provision that repeals its most harmful sections at the end of 2015. Beyer’s bill would repeal that sunset clause, leaving the requirements in effect. The original law directed the Environmental Quality Commission to make rules to reduce the carbon content or “intensity” of motor fuels 10 percent by 2020. The rules are supposed to consider the entire life cycle of motor fuel from beginning to end, as well as land use, presumably to cut back on driving. The DEQ has tried to write the regulations but gave up. Further, the Ninth Circuit Court of Appeals ruled last October that only California is allowed to set its own standards for motor fuel under the Clean Air Act. But activists in Oregon persist. They know the fuel standard, if achieved, will raise the price of fuel. So they’ve added a provision saying the state could cancel the standard if it looks as though it will raise the price more than 4 percent during the following year. 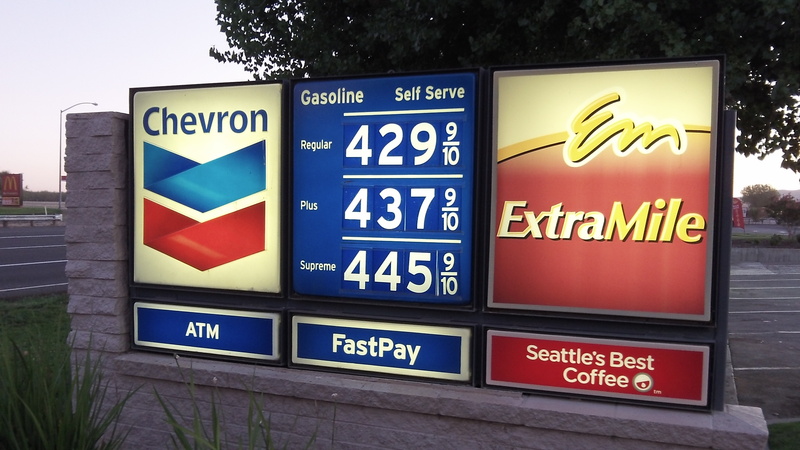 The state can’t possibly predict the price of gas, but in any case, the backers of this law are happy with a 4 percent rise in the price per gallon. As for electricity, the Oregon House is considering a bill likely to result in higher rates. HB 4126 cleared the House Energy and Environment Committee on Thursday just ahead of the big western Oregon snowstorm. The bill would allow consumer-owned utilities to bypass the state’s renewable energy standard so that a cooperative in Umatilla could meet the needs of big server farms being established there. You’d think that what is good for Umatilla would be good for everyone. But no, this is a special deal. The Oregonian reports that the big utilities, PGE and Pacific Power, have agreed to a compromise on the bill continuing the renewable mandate. This would allow them to make special deals with industrial users to sell them so-called “green power.” Since Pacific’s green power costs more than generic power, it’s hard to see how any industry would accept such an offer. But in any case, if the bill passes, the renewable mandate stays in effect. It says that by 2025, utilities must get 25 percent of their power from renewable sources. Renewables such as wind and solar require more investment, and more investment means higher rates that utilities are allowed to charge. Increasing energy prices = decreasing economic activity.